Liz has worked within the construction industry since 1988. 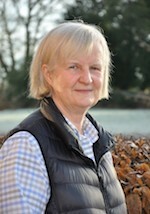 Prior to setting up Chesterfield she previously had experience as a director of companies undertaking the specialised flushing and cleaning of water systems. In creating a consultancy in water treatment she has strived to provide a friendly, high quality, reliable service upon which clients can rely and which will reduce the operational or contractual difficulties that they encounter. She sat on the steering group for three BSRIA guides, BSRIA 8/91 'Pre-Commission Cleaning of Water Systems' and BSRIA 1/2001.1 'Pre-Commission Cleaning of Pipework Systems'. This latter guide has recently been updated with her involvement (BSRIA BG29-2012). Liz also worked on a project investigating the impact of biofilm in pre-commission cleaning (BSRIA website). She sat on the steering group for the new BSI (8552) - which outlines sampling in closed systems - and the steering group for BSRIA 50/2013. Paul joined the Chesterfield team in 2004 after many years experience in the field of Commissioning Management and Project Management. He has extensive knowledge in mechanical, electrical and BMS systems from design review through to final commissioning, integration and handover. This knowledge, together with an understanding of water treatment, allows us to investigate a wide range of factors that can affect the achieving and maintenance of water quality. He brings an extra dimension to the team of water treatment specialists, providing an even greater wealth of information to assist clients in the successful resolution and management of water treatment issues. 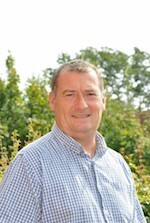 Iain has worked within the construction industry since 1980. For the majority of this time he has worked within the sector of pre-commission cleaning and remediation cleaning of closed loop mechanical systems. He has held positions of Director and Associate Director in two leading water treatment companies and joined the Chesterfield team in 2017. His comprehensive knowledge of water treatment within the construction industry and the challenges faced when undertaking remediation cleaning of existing systems, has helped to enhance Chesterfield’s ability to assist our clients with bespoke water treatment strategies. 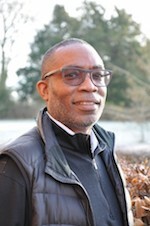 Malcolm joined the team in early 2007. He has extensive qualifications and experience in air conditioning, water treatment and health & safety. 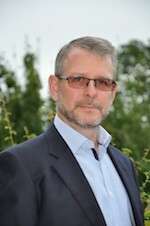 He has a career history in project management and the control and monitoring of building services. Shaun is a key member of the team and has been with the company since 2002 having previously worked as a hands on water treatment engineer for companies which specialise in chemical cleaning and flushing. 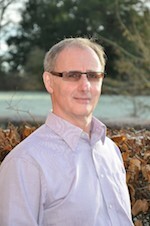 His extensive experience ensures that he fully understands the issues which confront our clients on site. He brings a high standard of expertise whilst witnessing cleaning and flushing procedures or resolving problems which occur in water systems. He works with all of our clients and is quickly able to assess sites and ascertain the best flushing and cleaning methodology, his assistance can reduce the problems associated with working within tight project deadlines. 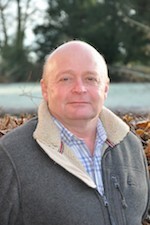 Keith became a member of the team in 2007 bringing with him his wealth of practical knowledge and experience from having worked in water treatment for many years. He has a comprehensive understanding of water treatment issues, flushing and cleaning and problem resolution. 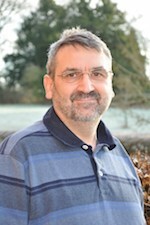 David has worked in the Water Treatment Industry since 1991, starting at Sutton & East Surrey Water Company in the laboratory, and moving into its commercial water treatment wing. 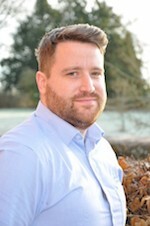 From there, he worked as Service Manager at a Kent-based water treatment company for 10 years, before starting his own business in 2009, concentrating primarily on Legionella risk assessment and training. 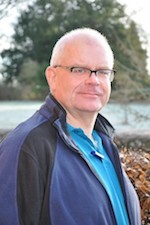 In 2011 he was invited to join Chesterfield WT Consultants as maintenance service manager. 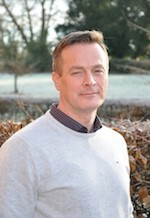 David obtained his City & Guilds qualifications in Legionellosis control for both Domestic and Cooling systems in 1994, and has been presenting Legionella training courses for the past 10 years. In 2018 he undertook and passed the National General Certificate in Occupational Health and Safety (NEBOSH). Philip joined us in 2012, coming from a background in construction. He is a practical, helpful and enthusiastic member of the team. 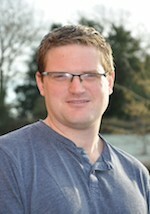 He has good communication skills and enjoys meeting clients and staff on site. 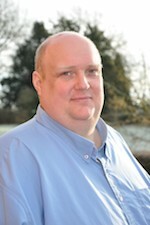 Sam joined the company in September 2013 having been in the water treatment industry for over 20 years. His hands on experience working to current BSRIA guidelines has given him a comprehensive understanding of the problems that may be encountered and the methods required to overcome them. He enjoys using his knowledge and experience working together with the team on site to achieve the common goal of optimum water quality for the client. David worked in water treatment for 14 years before joining the company in late 2014. His experience included working as the lead engineer on several large-scale projects in London and as a training supervisor for a leading water treatment company. He establishes clear working practices, has a detailed understanding of water treatment processes and maintains strong relationships with co-workers and clients, helping to bring about efficient and successful results. He has been an asset to the team and helped clients with risk reduction in the complex field of pre-commission cleaning. 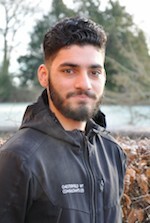 Hassan joined the company in June 2015 after completing his level 3 diploma in engineering. He currently undertakes a good proportion of our water sampling at construction and maintenance sites in line with British Standards 8552 and 7592. Glen joined Chesterfield in February 2016 and has worked in the water treatment industry for over 12 years. His experience includes having worked as the lead engineer on many large-scale projects in and around London and previously working as a supervisor for a leading water treatment company. His hands on experience with Pre-commission cleaning and flushing has given him an in depth understanding of the current BSRIA guidelines and the methods required to overcome problems encountered while flushing and cleaning on new or existing buildings. Shawn joined Chesterfield in October 2016 and worked in the water treatment industry for about 10 years prior to this. He has worked as a lead engineer / project supervisor on various large projects across the country. Shawn has an in-depth knowledge of all types of closed water systems. He has a professional and considered approach to any issues encountered, offering pragmatic solutions and appropriate guidance. Having joined Chesterfield in August 2016, Andy has proved to be a mature, reliable and extremely competent member of the team, undertaking sampling from closed and domestic systems on both construction sites and maintenance sites. Chesterfield also employs an excellent back up team of technical support and administrative staff.